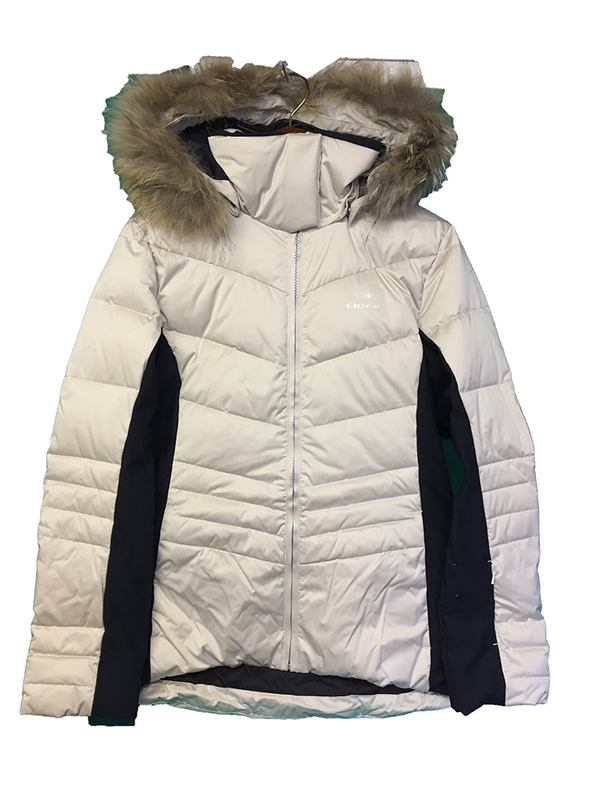 "A timeless beauty, the down insulated Sugarloaf Jacket dazzles on the mountain and in the village, with a pearl-like finish and slimming stretch side panels. New for this season, the upscale Sugarloaf Jacket offers a mix of premium fabrics and insulations, along with an ultra feminine, elegant style. Duck down insulation assures warmth, while the side panels in WINDEFENDER provide a slimming look and the comfort of stretch. Removable faux fur lined hood and flattering stitching further illustrate that this beautiful jacket was designed for the woman who commands attention, whether skiing the worlds best resorts or simply strolling village streets.